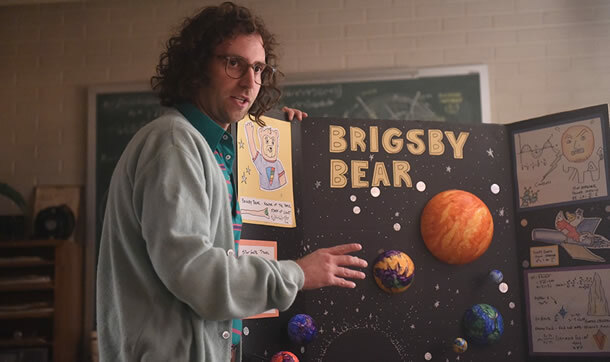 Brigsby Bear is a children’s show from years gone by, where the titular character would go on adventures, constantly trying to defeat the even Sun Snatcher but, of course, he never would so the programme would have a reason to continue. 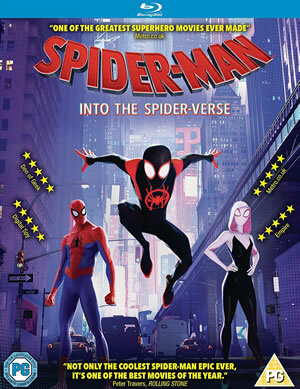 I’ll say at this point, that after watching the film, I had to re-watch the trailer so I knew I wasn’t spoiling anything that wasn’t already known, since it’s best that you don’t know anything extra and, for a change from most, the trailer for this movie does a fantastic job at not giving spoilers. James Pope (Kyle Mooney) has every episode of the show on VHS tape and, despite being an adult in his 30s, he lives with his parents (Mark Hamill and Jane Adams), and tries to get across his obsession to them but, thankfully, they come across a bit more clued up than he is. Brigsby Bear, himself, looks incredibly creepy, but then a lot of kids shows from early years look that way, particularly as if everyone involved was snorting a line of cocaine before each filming session. They live in an underground bunker whilst the air above is toxic, they live a regimented and religious life, ending each evening meal with a prayer and a firm handshake, but when the show comes to an end – as all good programmes do – James plans to use his creative talents to make a Brigsby movie; and seeing him want to continue Brigsby Bear’s adventures, it reminds me how I was obsessed with some TV shows as a kid and wished they could’ve gone on for longer and just never end, Metal Mickey being a case in point. I mostly remember TV shows from the early ’80s and, back then, a 3hr VHS tape cost a ridiculous £11, so recording everything just wasn’t feasible. If they’d been a quid apiece like you could get them for today, if you can still find them, then I wouldn’t have been in the position where I was eager to record a Level 42 video from The Chart Show, left the tape recording, and accidentally wiped an episode of Lynda Lee Potter’s Potter’s People, in which my Dad was featured as one of many people enjoying watching horse racing. Bringsby Bear – DVD unboxing! This is a film which deals with obsession, and Kyle Mooney, who I hadn’t come across prior to this, plays this perfectly straight and perfectly perfect, such as in a scene where he tries to bribe cop Vogel (Greg Kinnear) – for reasons you’ll discover along the way – albeit with a few measly dollars, and is very disgruntled when Vogel tells him he can’t accept that, so James takes the money back. With a good cameo from Homeland‘s Claire Danes, as well as Ryan Simpkins being superbly geeky as James’ sister, Aubrey, there’s always one film I end up missing before a year is over, which when I see it the following year, could easily have slotted right into my Top 10. And now a bit extra about this film which may be considered a spoiler, so I’d advise you only to read the next bit if you’ve seen the film. If you haven’t yet, then get it watched and THEN read the bit below. It’s a fascinating study about how incarceration can lead to mental illness and depression, but does get a little too fanciful the way Vogel gets involved in the movie, and how his family go along with it and the way it concludes, but that’s the only criticism I really have with it. The alternative is NOT to have a happy ending, and that is what I think would be the realistic way. James (Kyle Mooney) lays it all down about Brigsby. 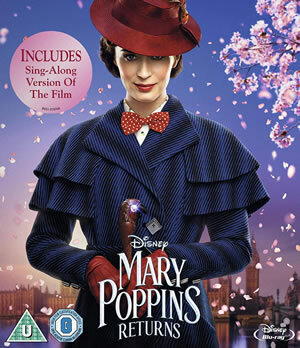 The film is presented in the original theatrical ratio of 2.35:1, but given how this is a DVD rather than a Blu-ray, the image is softer by comparison. I’m watching on a Panasonic 50″ Plasma TV, connected to a PS4. The audio is in Dolby Digital 5.1, with occasional effects here and there for ambience. Plus, the film is mostly dialogue and some music, so there’s not much of a score during the film, and certainly nothing memorable. Twin Speak: Kyle & Dave (10:21): Actor Kyle and Director Dave talk about meeting and making the movie, along with chat from others mixed in with clips from the film. It’s a nice, well-rounded ‘making of’-type piece. An Evening With Brigsby Bear (12:55): The cast at the premiere, with a post-screening Q&A. The Wisdom Of Brigsby Bear (1:12): 6 snippets of wisdom – the sort of thing he might say at the end of an episode, sometimes twee, sometimes a bit snippy. Trailers: A teaser (1:32) and a theatrical one (2:18), the latter of which is a bit more spoilery than ones I’ve seen before. Audio Commentary: with Kyle Mooney and director Dave McCary. The main menu features a static shot of James in the Brigsby Bear costume, along with a piece of the theme in the background. There are 16 chapters which is a reasonable amount for a relatively short film, and almost at my optimum of one every five minutes. 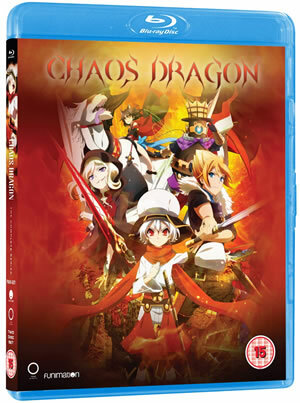 I’ve reviewed the DVD, here, and there is no UK Blu-ray release, sadly, but there is one you can import for around the same price as what the UK one would’ve cost. 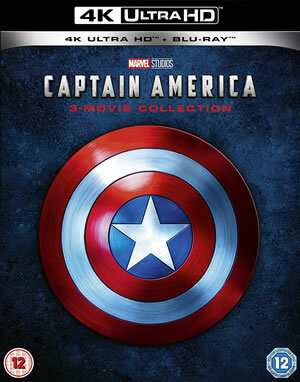 As the Amazon link confirms, the Blu-ray disc is for ALL regions, which is generally the case. Brigsby Bear is released tomorrow on DVD and Amazon Video, and click on the packshot for the full-size versions. 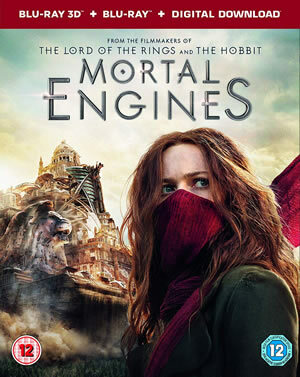 Plus, there’s also the aforementioned Blu-ray release. Arielle Smiles (Kate Lyn Sheil) with Brisgby Bear.